The Border Gateway Protocol is used to share routing information between internet routers in different autonomous systems (AS) for ebgp or between routers in the same autonomous system as in the case of ibgp. If you have block of public address that you will like to advertise to the rest of the internet, then bgp is the protocol designed to help you advertise your prefix to the rest of bgp-speaking routers on the internet. In this lab, we are going to demonstrate the use of bgp from the perspective of a company that has acquired some blocks of public IPs with two leased lines from two upper providers. Our goal is to advertise our prefixes out of these two connections. * Use default route to prefer one of our upper providers for all uploads and fail-over to the second provider in event of downtime on the preferred link. * Create a filter rule to filter all route update from our providers so that we don’t over-stretch our router’s limited resources. Create another filter rule to filter what we advertise to our neighbors. We do not want to accidentally advertise our internal networks. I will try to make this as simple and as detailed as it should be. So, sit back and pay attention. The peering Ip address, AS number, ebgp-multihop number (if the ISP is using a loopback interface IP for the peering). Next, we use prefix-list to filter the routes we receive from our providers. Since we have chosen to use default route on R4, no need to receive routes from our providers. Next, we use it to advertise to R3 (ISP2). This will make sure that only our public subnets are advertised to ISP2. On R4, this is what our routing table will look like. 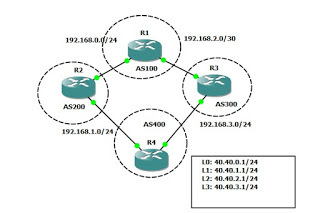 No bgp routes are allowed in because of the prefix-list ABC in. We are using default route to go out. From the output shared above, we observed that the 40.40.0.0 to 40.40.3.0 were received via ISP1 and ISP2 but ISP2 is preferred simply because we prepended the routes towards ISP1 by increasing the as-path. I will shutdown the link between R4 and ISP2 lets see if ISP1 will be preferred. The next hop address for the 40 subnets, as can been seen above, has changed to 192.168.0.2 which is ISP1!!! Objective, achieved. I know I said this is basic ebgp setup. Yes, I meant it. This is because there is so much you can do with BGP, trust me. If you found this post helpful, please don’t forget to drop a comment and also like us on Facebook and follow us on twitter. Thank you. 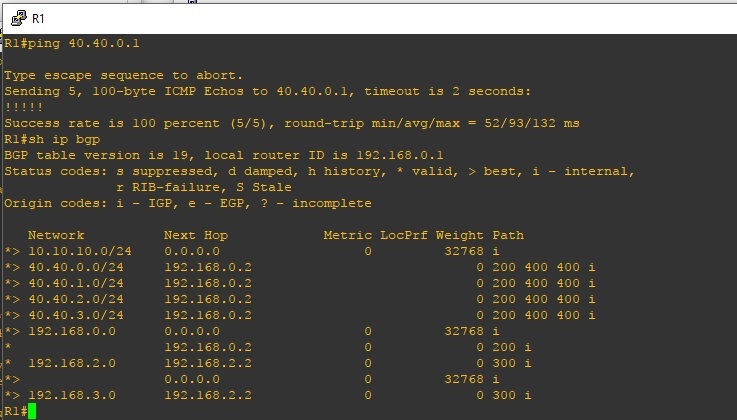 How to configure automatic failover with load balancing on a Cisco router. 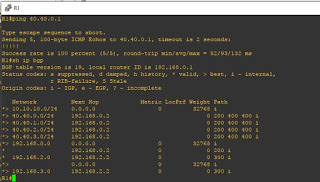 Enabling SNMP on a cisco router. 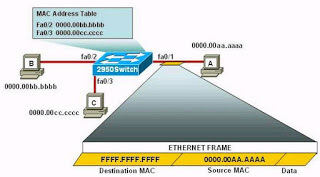 How to configure Port security on a Cisco catalyst switch.